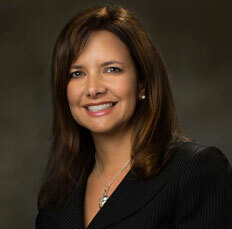 Julie Gonzalez Cohen received her Bachelor of Business Administration from University of Miami 1991 and her Juris Doctorate from University of Miami School of Law in 1994. She was admitted to practice law in Florida in 1994. For the next ten years, Ms. Cohen served as law clerk to the Honorable Mario P. Goderich at the Third District Court of Appeals for the State of Florida analyzing both civil and criminal appeals for Miami-Dade and Monroe Counties. In 2005, she joined one of the largest title agencies in the State of Florida as General Counsel handling residential and commercial real estate transactions as well as risk management. In the years since, she worked as an Associate with the Law Offices of Barton S. Strock, P.A. until she became a partner in the firm of Strock & Cohen, P.A. In 2007, Ms. Cohen was certified by the Supreme Court of Florida as a Circuit Civil Mediator. She conducts meditations in real estate and other civil matters. She has been married to Stuart since 1997, and they have two children.